Linode Hosting Review: Linux SSD Hosting. Good for Geeks. Right For You? Genuine Linode reviews powered by real people opinions on social media. See what real users are saying about Linode on Twitter to help you decide whether you should buy managed cloud hosting from Linode. Our genuine Linode cloud hosting review (2019 update) is based on what real people on Twitter say about Linode. Let us help you make the best-informed decision whether or not you should buy cloud hosting from Linode. The company is a cloud hosting provider providing hosting infrastructure to over 400,000 customers worldwide from eight data centers throughout North America, Europe, and Asia-Pacific. Linode offers high-performance cloud hosting that lets you deploy a powerful cloud server within seconds, using industry-leading native SSD storage on a 40 Gbit network and using Intel E5 processors. If you’re still on the fence about using Linode as your cloud host, then sign up for the 7-day free trial that Linode offers to test their platform. Linode’s cheapest cloud hosting plan is 5.00 per month. 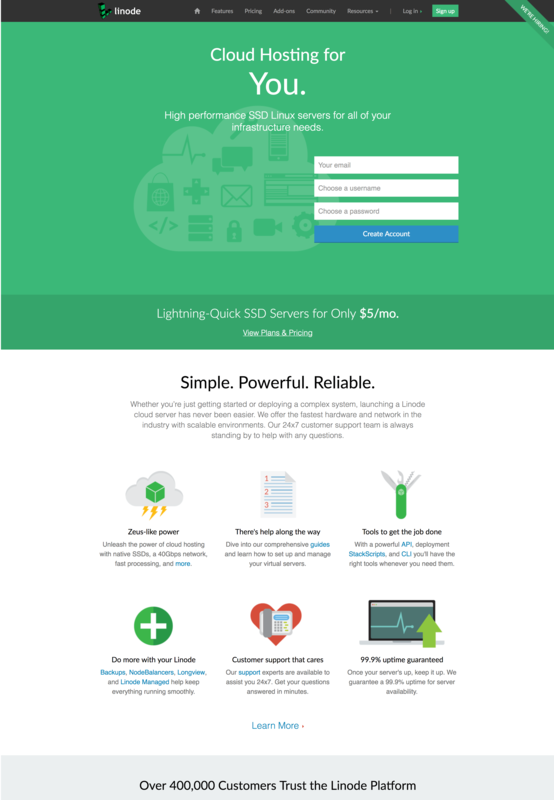 Linode is a cloud hosting service that specializes in high performance and lightning-quick SSD Linux servers. Christopher Aker launched the company back in 2003 and Linode has grown a lot since those humble beginnings. By May 2008, the New Jersey-based operation made the switch from UML to Zen visualization. A year later, they introduced a data backup service too. Over the years, Linode has become a multinational company. Data centers have opened in England, Japan, Singapore, and Germany. Meanwhile, it has endured security breaches in both 2012 and 2013. This ultimately led to improved security measures being established by the company. This virtual private server (VPS) company now focuses primarily on cloud hosting. They host many well-known clients, including The Onion and Accu Radio. In total, they serve over 400,000 Linux customers, and that number continues to grow year on year. Try Linode. It’s risk free. Founded by Christopher S. Aker in 2003. Linode is a cloud hosting service that specializes in high-performance SSD Linux servers. It stands out for its successful, innovative approach to security. This includes participation in the HackerOne bug bounty program, which pays white-hat hackers to find vulnerabilities. While the company doesn’t use industry-standard terms (e.g., shared hosting, VPS hosting, etc.) to refer to its plans, they are roughly equivalent to VPS hosting. We do want to be clear, however, that the plans are *not* 1-to-1 analogs. The American based company has over a decade of experience and has customers in over 130 different countries from all over the globe. What are Linode’s Main Features? As a company, Linode prides itself on three key areas. The ingredients of simplicity, power, and reliability is a recipe for success. And it can be used to help businesses at all stages of their respective journeys. One of the main selling points for Linode is the high level of uptime. All businesses should demand this feature, especially in the current climate. A guaranteed server uptime of 99.9% is something that should not be overlooked. Linode secures competitive uptimes for clients. Linode is a powerful solution too, and there can be no complaints about the 40 Gbps network. Meanwhile, the Intel E5 processors are the fastest in the cloud market too. The bid for simplicity is captured perfectly by the control panel. The layout is well designed and easily navigated. Moreover, the ability to modify things to suit individual needs is a definite selling point too. As far as monitoring a situation is concerned, nobody could ask for much more. Once an account is activated, it’s possible to launch a server in seconds. This leaves businesses more time to concentrate on perfecting those strategies and focusing on key cores. Being un-managed means that it can require a little extra work to achieve those desired results. However, the tools are all there. An advanced API platform, along with scaling facilities and DNS management make it easy. As long as the user has the skills to use these resources, the results can be stunning. While the defaults come un-managed, there is the option to upgrade to a managed solution. Other add-ons include NodeBalancers and Longview. The latter can help systems run smoother than ever. Finally, the fact the company boasts a downloadable App should be noted. Smartphones are ubiquitous in modern life. The App allows clients to create new Linodes, track existing items, and even manage the payment aspects of an account. 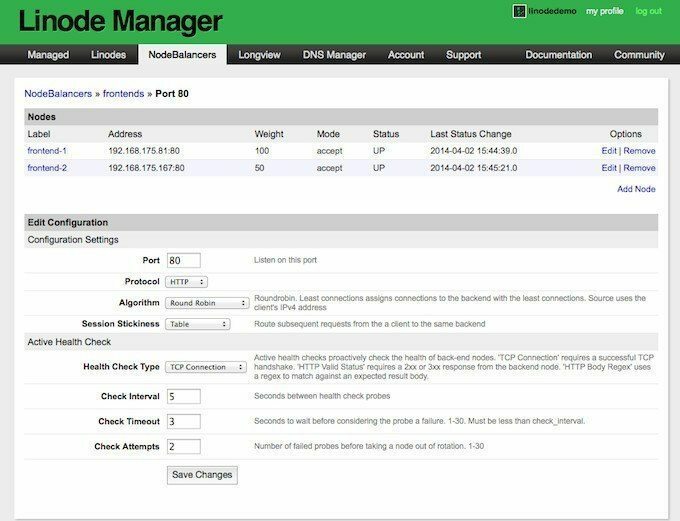 Having the option to monitor business solutions on the go is a huge plus point for choosing Linode. All Linode plans come with root access and SSH included. However, there is still a vast degree of versatility involved. It’s probably best to start with this smaller package as upgrades can be made at a later date if required. All services are automatically billed on an hourly basis, with a monthly cap in place. However, if the transfer rate is exceeded, extra charges will occur. This is Linode‘s upper tier plan structure. Payments can be made through a variety of different sources. This includes both MasterCard and American Express. How is Linode’s Customer Support? The Linode website has the customer in mind, and that shows with the high level of support features available online. They boast many guides, from getting started to migrating existing packages to the Linode platform. There is also a whole section dedicated to tutorials, which should help customers. This can be especially helpful for new Linux users. However, customers may want to contact experts directly. This can be done by telephone or Skype while the company also boasts the expected social media streams. Quite frankly, clients can have no complaints when it comes to contacting Linode. In an area of business like this, it has to be considered a selling point. After all, issues can impact profitability greatly. Finding quick solutions is key. Whatever method is used, the 24/7 help is key. In addition to those customer support services, Linode also hosts a forum for customers to discuss various issues. As well as announcements direct from the company, it’s a great resource for those struggling to use Linux servers. Meanwhile, it’s a good way to get tips for any problems that may be encountered along the way. Linode has come under several DDoS attacks in the past. While the company was taken offline in January 2016 as a result of such an attack, it appears that the company’s engineers have learned. Since then, the company has faced additional attacks, which it has weathered relatively well. Customers will be pleased to learn that Linode does offer a 7-day money back guarantee. This is a particularly handy option as some clients will not get to grips with the unmanaged facilities. There’s nothing worse than being tied into a long contract. However, if customers do realize that they’ve made a mistake here (within the week time-slot) they’ll only lose the $5 surcharge. In the grand scheme of things, that isn’t too bad at all. The exclusively Linux solution does bring limits. However, the un-managed solutions make it very versatile for those with this background knowledge. On the other hand, it does mean that clients probably require a degree of expertise that isn’t necessary with other services. That is unless the upgrade to managed services is made. Under the right circumstances, Linode can be the perfect cloud hosting solution. However, a trial period may be required to make a long-term decision one way or the other. While this isn’t possible, the 7-day guarantee is a blessing. What are Some Good Alternatives to Linode? If you are interested in Linode, you will want to check out the following web hosting providers as well. Its offers are geared toward a more technical audience, so if you opt for Digital Ocean, you will want to be comfortable with technology (or willing to learn!). Rackspace offers managed cloud services. Though there are some significant differences between the two companies, you can think of Rackspace as a more user-friendly version of Digital Ocean. While the latter allows you to save a bit of money by letting you put in sweat equity, Rackspace will happily let you outsource system administration to them for a fee. As always, there may be some standard queries you have about the services of a hosting provider, in this case, Linode. Here are a few basics we addressed for that purpose. How Does The Hourly Billing Work? Quite literally as it sounds. You pay for your services hourly, depending on how much resources you use. The per-hour rate entirely depends on the package you go for, which comes down to the variable factor of performance. Where Can I Locate My Linode IP Address? Your IP address can be located in your Linode Manager, under a tab named “Remote Access”. Public and private addresses are found under the two labels “Public Network” and “Private/LAN Network”. Yes. Linode offers a backup service, which has to be activated in your Dashboard. How Do I Enable Backups On Linode? Firstly, you must log into your Linode Manager. Now select the Linode which you wish to backup, followed by clicking on the Backup tab. Enable the backup, then complete the order for your selected Linode backup. Linode offers simple pricing where CPU, transfer, storage, and RAM are bundled together, you also get the option of paying monthly or hourly. Here below is an overview of their plans and current price list (using monthly pricing). For latest and most up to date prices visit Linode’s website. We monitor tweets about Linode and apply sentiment analysis to classify tweets as positive or negative. This allows us to output an approval rating score, which is based on real people, positive and negative, opinions about Linode on Twitter. Linode approval rating score is 75%. This is based on a total of 8 tweets that mention Linode on Twitter. There are 6 mentions that share a positive sentiment and 2 mentions that express a negative sentiment. Find out more about how it works. Support @linode. Great tech support. Dusting off my CentOS 6 skills with @WebSSH_Net from iPhone. Not sure if Linode is right for you? Click over to our sister site, WhoIsHostingThis.com. It contains another expert review, but more important, reviews from actual customers. If you want to know what hosting with Linode is like, this is the place to look. Try Linode. 7-day free trial, money-back guarantee, no questions asked. You are here: Home > Web Hosting: Which Hosting Company Is Best For You & Your Website? > Linode Hosting Review: Linux SSD Hosting. Good for Geeks. Right For You? Next: HostGator Review: Popular Hosting. But Can It Beat Bluehost?